Corrimal beach is open for business this weekend. PHOTO: PHOTO: Warren & Diana. THE red and yellow flags will go up on local beaches this weekend to signal the start of the 2014 summer swim season. 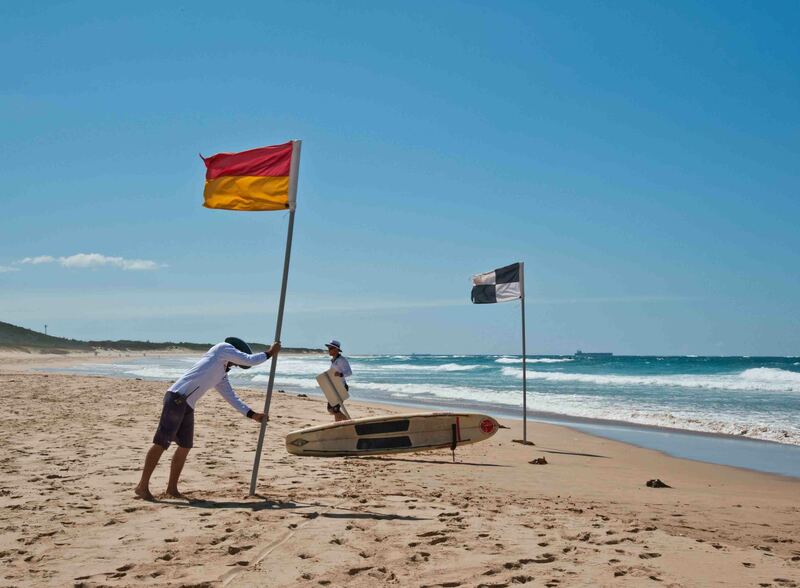 From Saturday until the Anzac Day long weekend in 2015, Wollongong City Council lifeguards will begin daily patrols on 17 beaches Monday to Saturday, with volunteer surf lifesaver patrols on Sundays and Public Holidays. Councils Recreation Services Manager Mark Bond said all Council lifeguards have completed their reaccreditation and physical tests, and are ready to go. “We’ll work closely with the region’s volunteer lifesavers over the next seven months in a combined effort to protect swimmers,” he said. Those planning on hitting the water are being reminded to follow the ‘no flag, no swim’ rule. “With 17 patrolled beaches from Stanwell Park to Windang there’s no need to put yourself in danger by swimming in unpatrolled areas. We also encourage people not to swim alone, and if you’re not a confident swimmer don’t go out too far. The ocean has many undercurrents and rips that can catch people unaware,” Mr Bond said. When swimming in patrolled areas, people should also follow the directions of lifeguards and volunteer lifesavers. During the winter season Council carried out work on and around beaches to improve safety including re-profiling of Woonona beach and movement of Corrimal tower to improve beach vision.